Dunedin is New Zealand’s oldest city, located at the head of Otago Harbour on the South Island’s southeast coast. Best known for its rich Scottish and Maori heritage, striking Victorian and Edwardian architecture, and bustling student culture, Dunedin is also home to a diverse wildlife population including fur seals, yellow-eyed penguins and the world's most accessible albatross colony. Once a gold-rush mecca, the city offers a wide array of activities to experience and dramatic landscapes to explore. 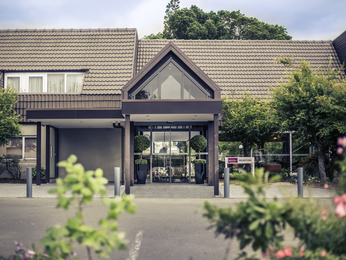 Mercure Dunedin Leisure Lodge offers Dunedin accommodation nestled in a relaxed, landscaped garden setting, within easy walking distance of Otago University and next to the famous Dunedin Botanic Gardens. During your stay, visit the Flemish Renaissance railway station, sample some local beer at the Speight’s Brewery, experience a slice of New Zealand history at Larnach Castle, or take a wildlife tour – all of which can be arranged by our Dunedin hotels team.